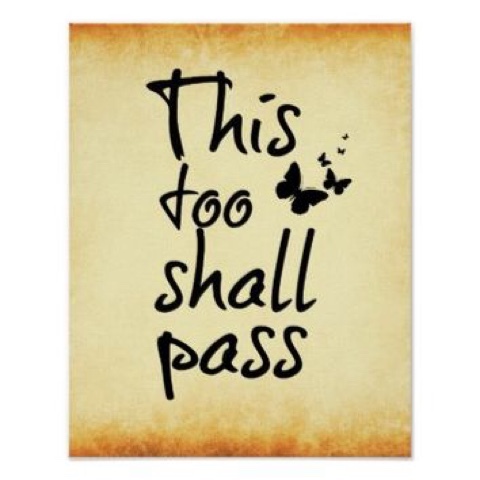 Jim’s mom used to always say…This too shall pass… Love and miss her. We just got back from PT at MD Anderson. Even with his pain medicine, PT is extremely painful for him and so is wearing the dynamic leg brace. It kills me to see him go through so much pain. One of the hardest things a mother can do is watch her child suffer. You have been doing this a long time now. Hugs and prayers for you and Robbie. I have heard so many times that PT was the worst part of someone's recovery because you just want to stop doing it so the pain stops. Even when you know that it will help him in the long run, enduring this with him has to be so tough. You are in my thoughts and prayers.